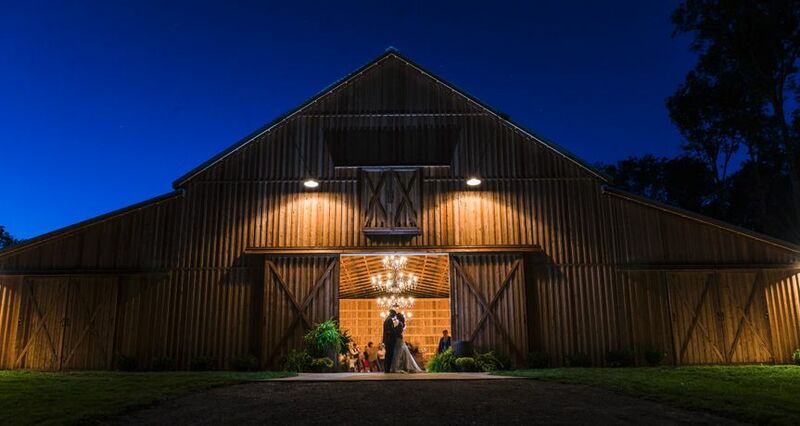 Saddle Woods Farm is a rustic venue located in the heart of Middle Tennessee in Murfreesboro. This vintage style farm boasts a 10,000-square-foot, enclosed, cedar post barn. 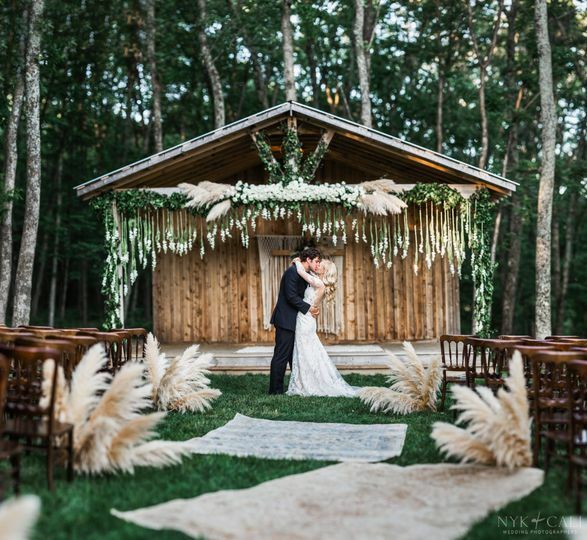 It can be decorated for a traditional and southern event or a country-chic affair. Saddle Woods Farm offers couples a scenic atmosphere on their 25-acre estate. 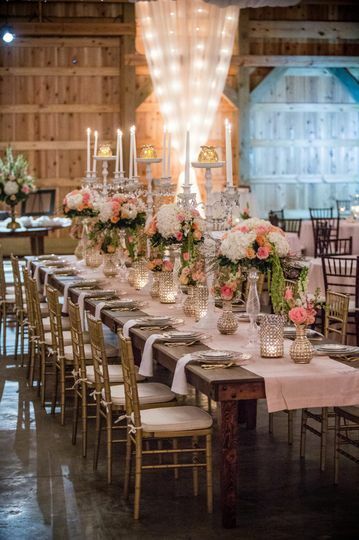 Couples can accommodate up to 500 guests at this luxurious farm. 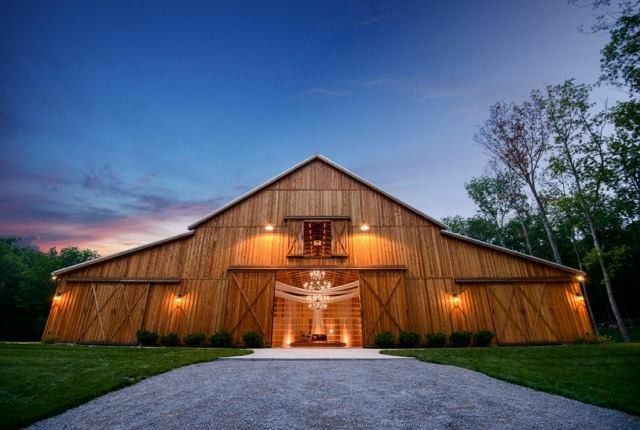 Their barn features an open floor plan that is a blank canvas for your individual vision. It features a 36-foot-tall ceiling, iron and crystal chandeliers, multiple windows and sliding doors to the outside. 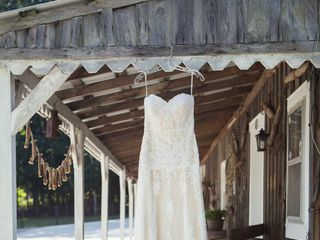 Saddle Woods Farm also offers an outdoor ceremony area as well. 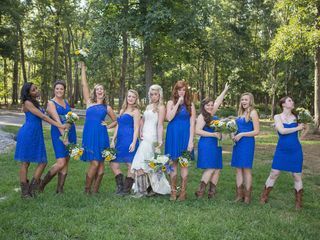 In addition to their southern-style barn, Saddle Woods Farm also offers a Bridal Cottage and Groom's Quarters. The Bridal Cottage has a restroom, full kitchen and dining room. It features multiple mirrors and seating, perfect for you and your bridal party to get ready in. The Groom's Quarters features a bar area, big screen television, pool table and private patio. 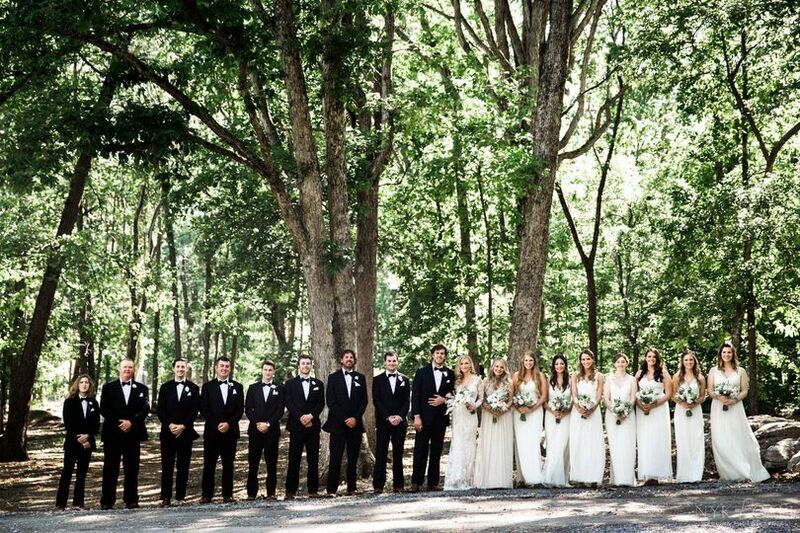 This serene venue is located 30 minutes from the Nashville area. It's situated between Franklin and Murfreesboro, Tennessee on Route 96. 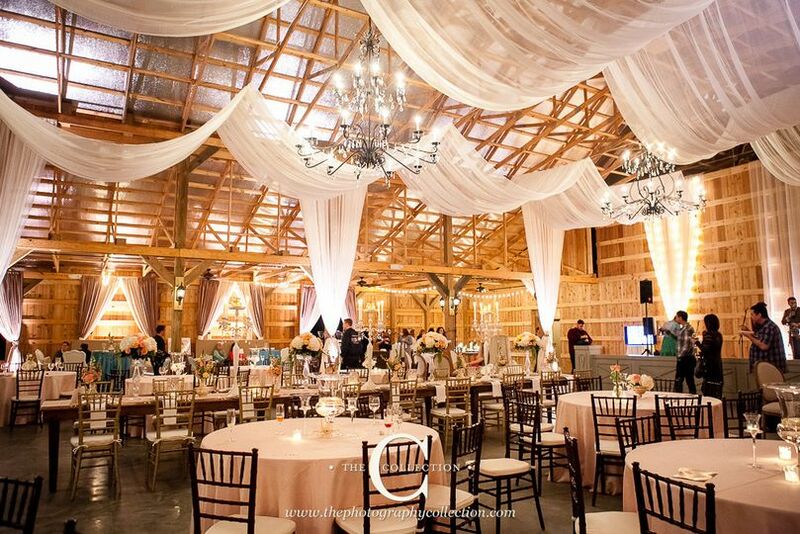 Saddle Wood Farm is the perfect place to have a reception! This was the only place I looked to have my reception at! The staff at this venue is amazing! They are so helpful and fun. 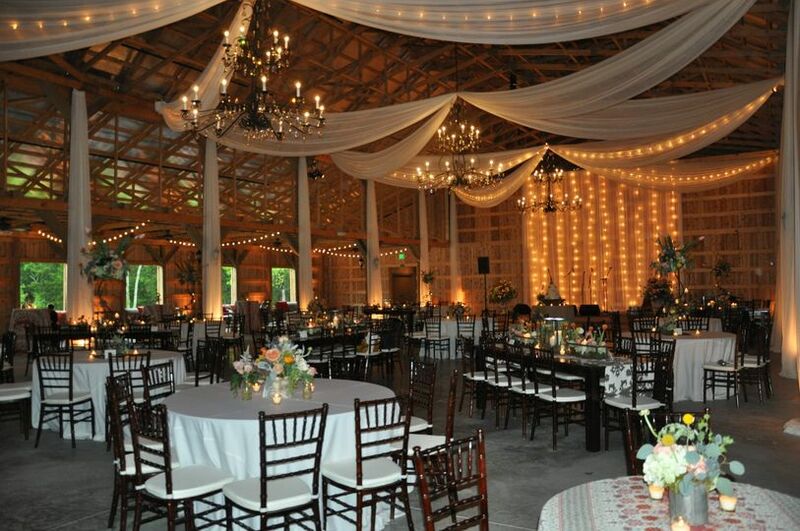 The Barn is beautiful and accommodates a lot of people! We had 375 guests and it was perfect! Our bridal party loved the cottage and groomsmen suite. We all got ready in the two suites and had plenty of room. And both places make for great pictures!! The reception itself was a dream. Everything was perfect! I highly recommend Saddle Wood Farms to anyone! Saddle Woods is a dream!!! 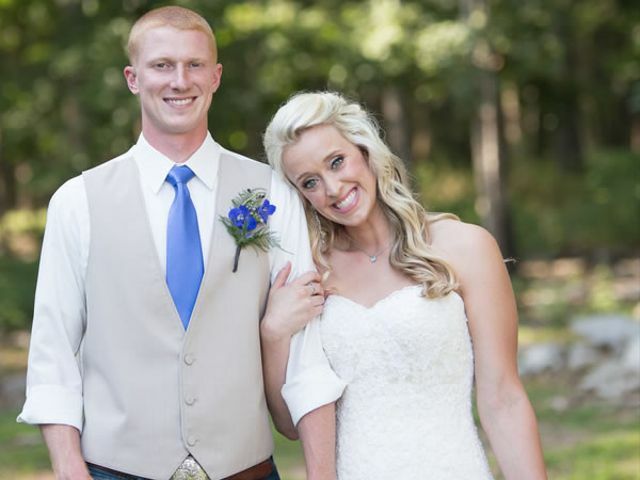 Saddle Woods is the most PERFECT wedding venue! We got married in December so we used the barn for our ceremony and reception. One of the perks of getting married in December is they have Christmas lights all through the property and lining the driveway. 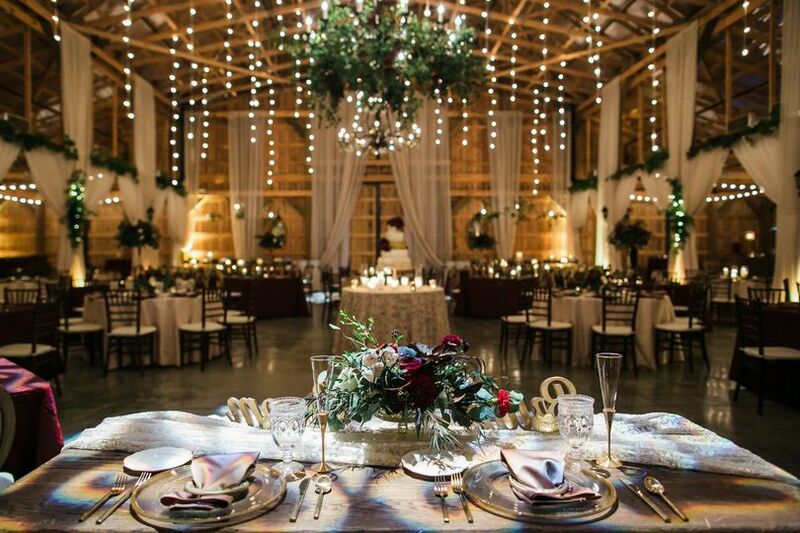 The lights added such a magical feel to our big day! Morgan and Jayne made the day and transition from ceremony to reception flow seamlessly. 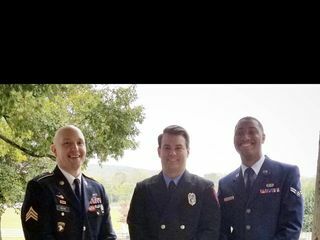 I cannot thank them enough. 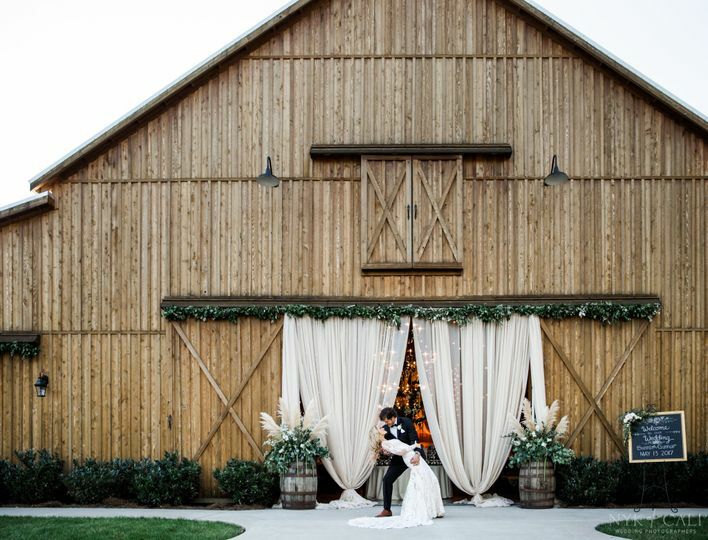 The barn is exquisite and so is the bridal cottage and groomsmen suite. It is safe to say everybody enjoyed the day. If you are even thinking about Saddle Woods, save yourself some time and book it!!! 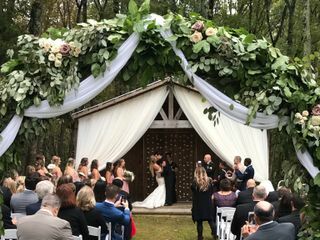 Saddle Woods Farm is an absolutely beautiful venue for a wedding... not only are the grounds beautiful but the family/staff are the BEST to work with!! They make you feel like you are part of their family! If you need a wedding venue this should be your choice! !